Released just in time for St Patrick’s Day, online slot Leprechaun Hills celebrates all things Irish. Along with Irish folk music acting as a soundtrack to your gameplay, the green pastures in the background offer a feast for the eyes for those craving sunny days and lush fields. Although released fairly recently, casino game Leprechaun Hills gives the casino player numerous features and benefits which will discuss in a bit. Play this online slot game for free to learn the ropes of this game. When you are ready to play for real money, grab one of our casino bonuses to get started. Will you catch a pot of gold at the end of this game? This easy-to-play online slot is one of the most volatile games among all Quickspin slots. This is quite unusual for this brand so this is something new that they’re trying out with this latest game. 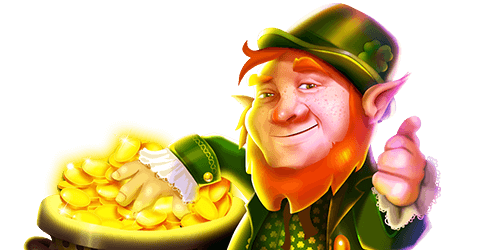 Featuring some of the most mischievous leprechauns you’ll ever come across in Irish-themed slots, Leprechaun Hills boasts two bonus features. Payout percentage: The theoretic payout percentage of Leprechaun Hills is 96.49%. Game features: Wild symbols, Lucky Respin feature, Rainbow Free Spins round and Scatters. Casino game Leprechaun Hills follows one of the most popular slot setups. Spread over 5 reels and 4 rows, it boasts 40 paylines. It guides you to the end of the rainbow, where good fortunes might just be waiting for you. Along the way, two bonus rounds help you in your quest including Rainbow Free Spins and Lucky Re-spins. Symbols include a stout, leprechauns, magic mushrooms and the standard 10 through to Ace symbols that fill up the remaining positions. Any win with a medium symbol triggers this feature. When this is activated, the reels become populated with huge stacks of the trigger symbol for bigger and better prizes. The slot game’s logo acts as the wild and helps substitute for all other symbols with the exception of the Bonus Scatter symbol to create winning combinations. Land three pot of gold scatter symbols on the 3 middle reels simultaneously, and you are instantly rewarded with 7 free spins. Keep an eye out for the rainbow symbol as it transforms itself into a mystery medium value symbol for larger winning combinations. There is a 50% chance attached to this symbol turning into the best possible symbol. Watch as it unlocks massive wins. The minimum betting amount on this game is €0.24 while the maximum betting amount is €80 per spin. 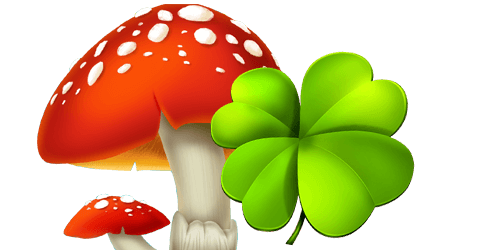 The maximum win you can achieve on Leprechaun Hills is worth 1,201x your total stake. Being new, Leprechaun Hills is fully responsive on both mobile phones and tablets. All features offered on the desktop version are also available on mobile, so you can play on the go anytime anywhere….and enjoy the Irish folk soundtrack on the way. Ready to get started? Grab one of our exclusive welcome packages from one of our Quickspin casinos.